The United Kingdom is set to exclude medical staff from the government’s visa cap. Theresa May, UK prime minister, introduced the visa limit for all non-EU skilled workers at 20,700 people a year. “This is going to be a huge relief for trusts up and down the country who have been really struggling to fill their doctors and nurses vacancies,” Cordery said. The proposed changes will affect the Tier 2 visas, which are used by skilled workers from outside the European Economic Area and Switzerland. In April, NHS bosses said the immigration rules were hindering their ability to find workers after 100 Indian doctors were refused. In February, NHS England said it had vacancies for 35,000 nurse vacancies and nearly 10,000 doctors. Although the proposed change will only apply to doctors and nurses, it would free up visas for workers from other industries. As at December 2017, it was reported that 5,060 Nigerian doctors were registered in the UK; a figure that rose to 5,250 as at April 2018. Nurses from outside EU will be given visas to boost the NHS as Home Secretary relaxes immigration rules to let thousands more highly-skilled workers into Britain. 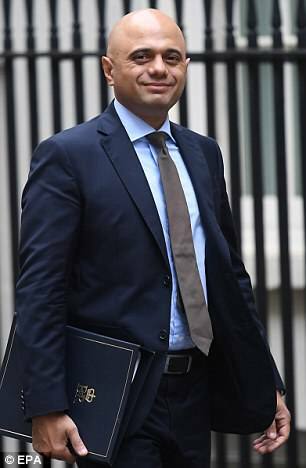 Sajid Javid is planning a major relaxation of immigration laws before Brexit and will ease a cap on foreign medics working in the UK to allow the NHS to recruit more staff. The new Home Secretary will remove doctors and nurses from the annual 20,700 'tier 2' visa limit on non-EU workers. How Nigerian Nurses Can Practice in US.